Cohesity lets you see, control, and use all of your secondary data. Data is business’s most important asset. Take the first step to harnessing it by consolidating and unifying all of your secondary data and apps on Cohesity. First, overcome mass data fragmentation with a single, software-defined solution that runs on-premises, in the cloud, and at the edge. Second, gain competitive advantage by improving IT agility with lower management complexity, easy data mobility, and data reuse. See how enterprises worldwide are taking control of all their secondary data and apps in a comprehensive and cost-efficient way. Runaway data leads to mass data fragmentation. 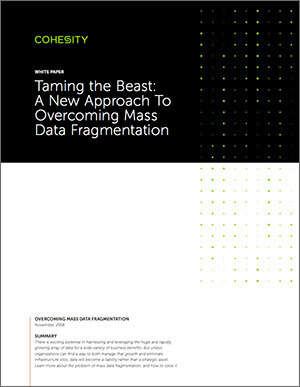 Mass data fragmentation leads to huge headaches. IT organizations need a new approach. Cohesity can help you consolidate your secondary data, experience a single UI, and span from the core to the edge to the cloud. Don’t let secondary data infrastructure overwhelm your staff or your budget. Team with Cohesity to eliminate those silos and reap the benefits of greater productivity and less risk. Replace the point products creating data and storage silos with a hyperconverged platform that supports backup and recovery, files and objects, test/dev and analytics that eliminates data silos within and across locations including the cloud. By replacing the point products creating data and storage silos with a single cloud-ready platform, you reduce not only capital expenses but high management costs stemming from complexity of multiple UIs, training and support. Single, unified management across locations leverages machine learning to optimize infrastructure performance and increase visibility. Seamless data and app mobility to any location including the cloud as well as unlimited snaps eliminate the need to maintain unnecessary data copies for test/dev and analytics. Use Cohesity secondary applications or build your own to derive business insights from previously untapped data and gain strategic advantage. Converge your secondary data into one platform and use Cohesity secondary apps to find PII or other sensitive information easing business and regulatory compliance requirements. This issue is too important to overlook. Just making storage more efficient or reducing copies isn’t enough. 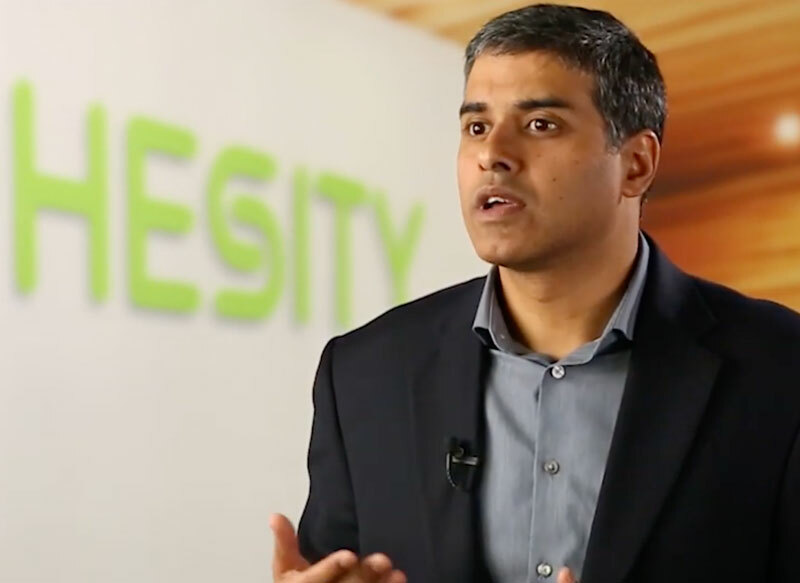 The most successful companies are choosing Cohesity to help them become more innovative while reducing competitive exposure and enterprise IT staff burdens. Your organization can, too.